Members of the Niche Cruise Marketing Alliance are offering early-booking savings for 2011. Fred Olsen Cruise Lines has launched a new brochure of 52 select 2011 cruises offering value and departing from the U.K. Featured cruises offer additional savings on the prices in Olsen’s second edition brochure and selected cruises offer double savings. The special rates detailed in the Captains’ Collection are applicable on bookings made through Feb. 28. The Captains’ Collection includes cruises on all four Olsen ships -- Balmoral, Braemar, Black Watch and Boudicca. The select cruises sail from a variety of U.K. ports to destinations including Norway, Greenland, Iceland, the Arctic, North Cape, Russia, the Baltic, the Mediterranean, the Adriatic, Canary Islands and around Britain. One cruise offering double savings is Balmoral’s 14-night Baltic cruise departing Southampton on May 13. This cruise transits the Kiel Canal and calls at Saaremaa and Tallinn, Estonia; Helsinki, Finland; St. Petersburg, Russia; and Copenhagen and Alborg, Denmark. Prices start at $2,242 per person, based on two adults sharing an inside twin cabin, Grade I. This cruise also offers golf and has an ArtsClub theme of antiques. Hurtigruten is offering early-booking discounts with savings up to 20 percent on seven 2011-12 Antarctica itineraries of 10 to 20 days. Options include the 20-day “Shackleton’s Antarctica,” which includes lectures by polar experts; the 15-day “Chilean Fjords and Antarctica”; the 13-day “Weddell Sea Adventure,” which spends eight days exploring the White Continent; and “Shackleton’s Christmas in Antarctica,” a 17-day celebration that includes carols, Norwegian glogg (mulled wine), Santa Claus and a Christmas breakfast. Voyages take place aboard the expedition ship Fram. Early-booking rates range from $5,858 to $13,684 per person, double, and must be booked by March 31; regular prices range from $6,878 to $17,105. Star Clippers offers free air from select cities and $1,000 savings on seven April-through-October “Grand Mediterranean” sailings aboard Royal Clipper, Star Clipper and Star Flyer in 2011. Royal Clipper’s 14-night April 23 cruise sails from Lisbon, Portugal, to Civitavecchia (Rome), Italy. Star Flyer sails three Grand Med itineraries in 2011 ranging from 10 to 14 nights. 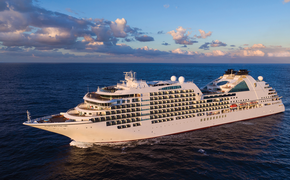 The April 20 departure sails from Lisbon to Monte Carlo, Monaco, the June 11 and Aug. 20 sailings cruise between Athens, Greece, and Monte Carlo, and the Oct. 1 sailing goes from Monte Carlo to Malaga, Spain. Star Clipper departs Oct. 8 on a 14-night sailing from Athens to Malaga, and also sails the longest “Grand Mediterranean” voyage of the season -- a 21-night cruise from Athens to Las Palmas, Grand Canary, Spain. Cruise fares begin at $3,195 for the 10-night voyage, $3,740 for the 14-night sailings, and $4,580 for the 21-night journey. These fares are per person, double occupancy, and include the free air and $1,000 off the brochure rates. Port charges and an air tax are additional to the above fares. For more information, visit www.nichecruise.com.